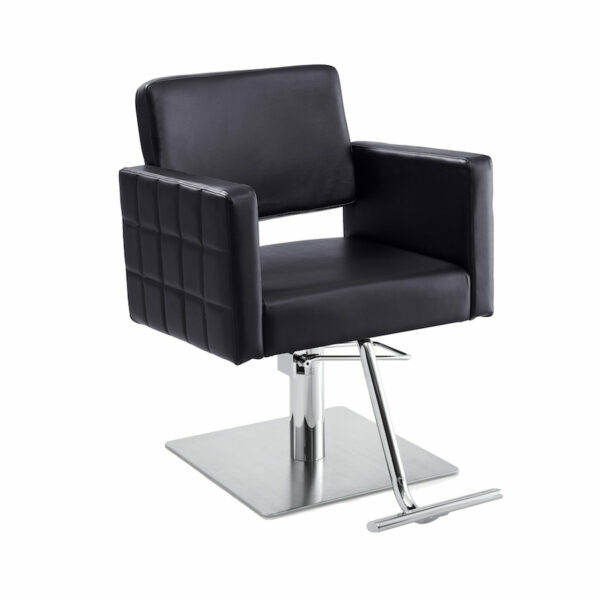 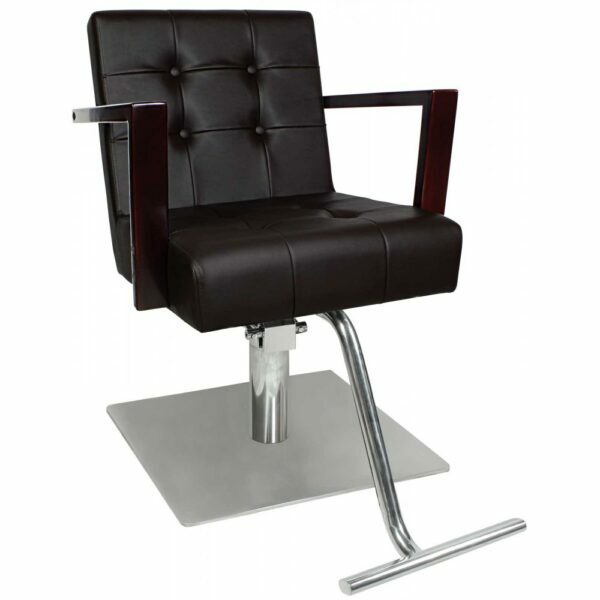 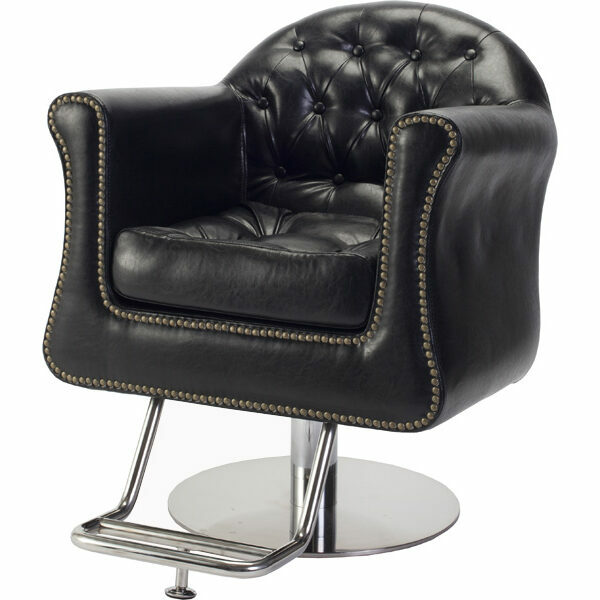 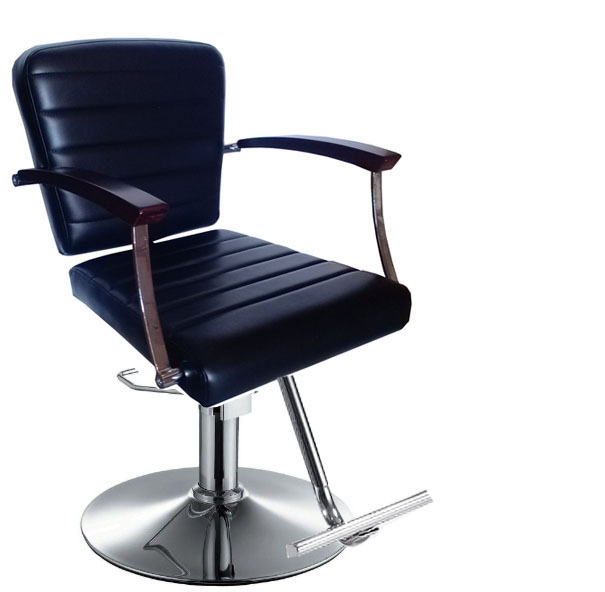 Features Upscale styling salon chair. 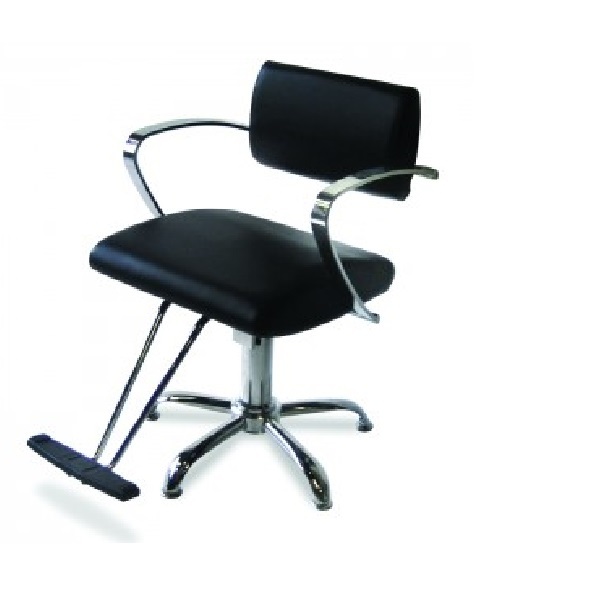 Upholstered seat & back. 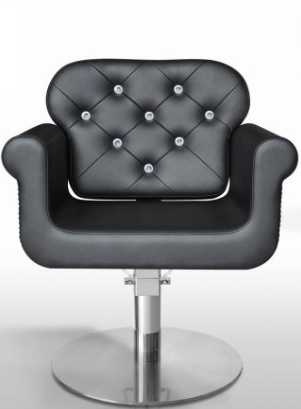 Soft PVC vinyl. 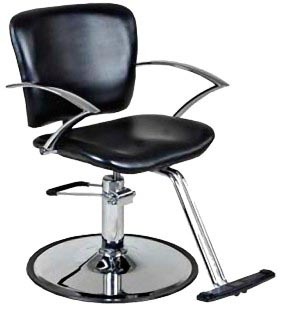 Easy maintenance & comfort. 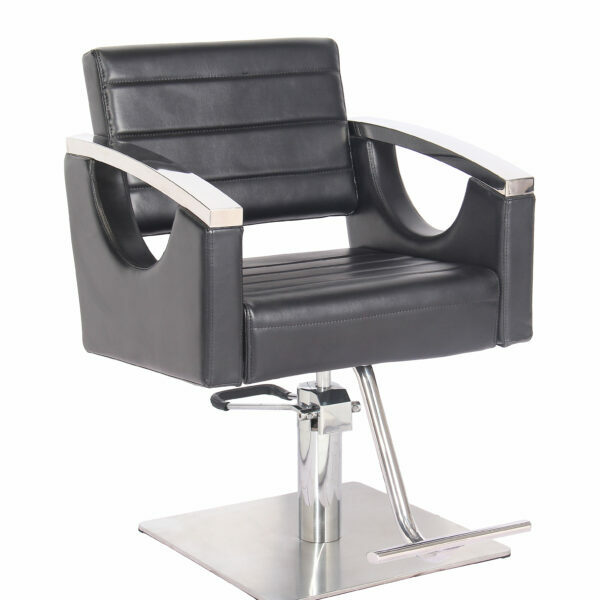 Hydraulic pump & contemporary base. 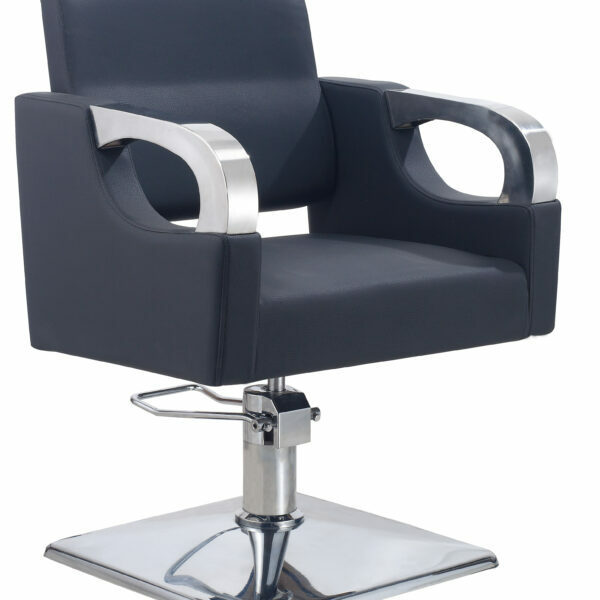 Styling chair rotates 360 degrees. 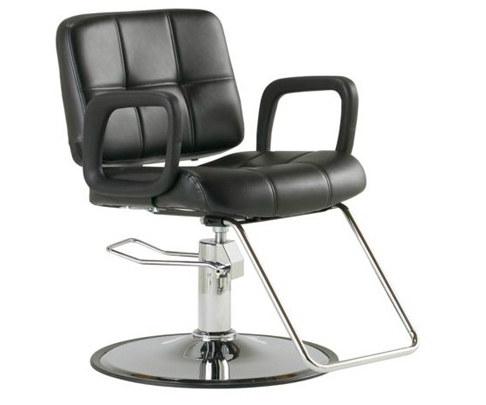 Stainless steel hydraulic base in upgrade option Specifications Arm to Arm: 20" Height: 36" Width: 25" Depth: 41.5" Adjustable Height: 18.25" to 24.5"